We know how difficult it can be sifting through pages and pages, looking through complex lists to try and suss out what bulbs you want to order. 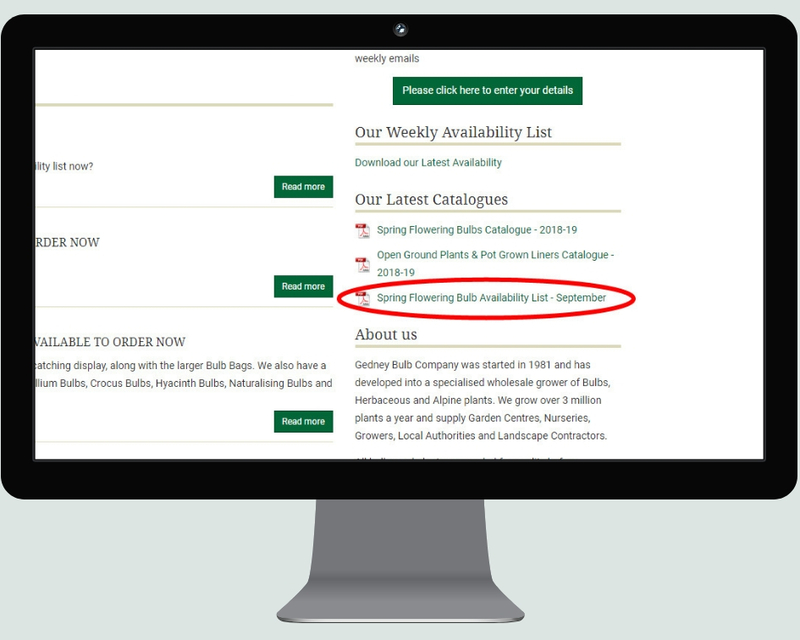 So, we have put together an availability list purely for bulbs. Each variety has its own section e.g. Tulips, Daffodils etc to try and make it as easy as possible for you to put your order together.